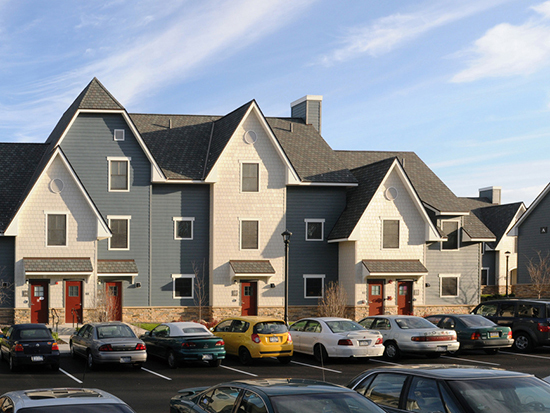 Residence Life and Housing opened the doors to The Village in 2010. 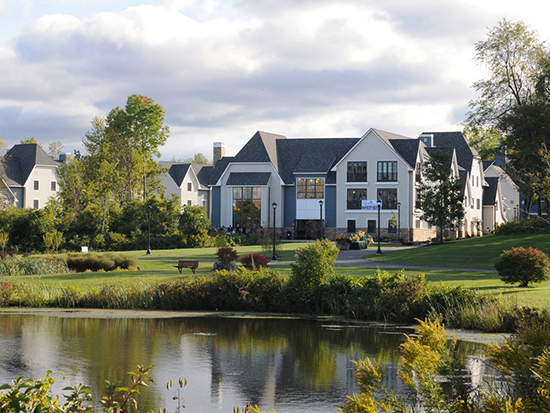 The Village townhouses, located west of Glimmerglass Lagoon, are home to 348 juniors, seniors, and graduate students at SUNY Oswego. Each townhouse offers single bedrooms, shared bathrooms, full kitchens and laundry, offering students an off-campus feel while still enjoying the benefits of an on-campus environment. 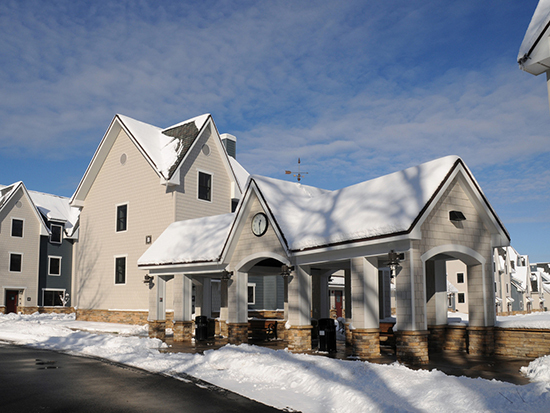 Throughout The Village: 3-story units will house 6 people, 2-story units will house 4 people and 1-story handicap accessible units will house 4 people. This page is updated frequently. Please return often to find answers to further questions you may have about The Village townhouses. 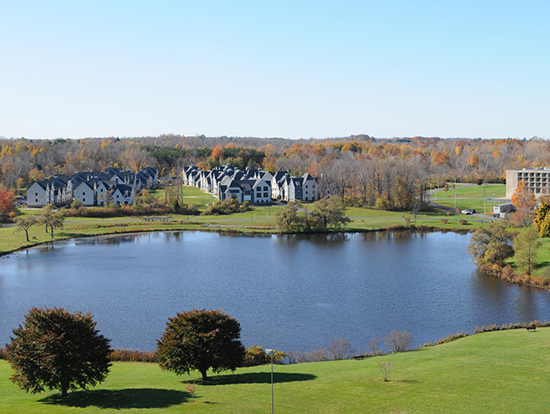 The Village will provide a "green" living experience where all residents will be able to establish independence through learning, living, and leading on a personal, community, and global level while practicing and developing a culture dedicated towards sustainability and environmental consciousness. Aerial drawing of The Village site. Download a pdf (2.8m) of this drawing. 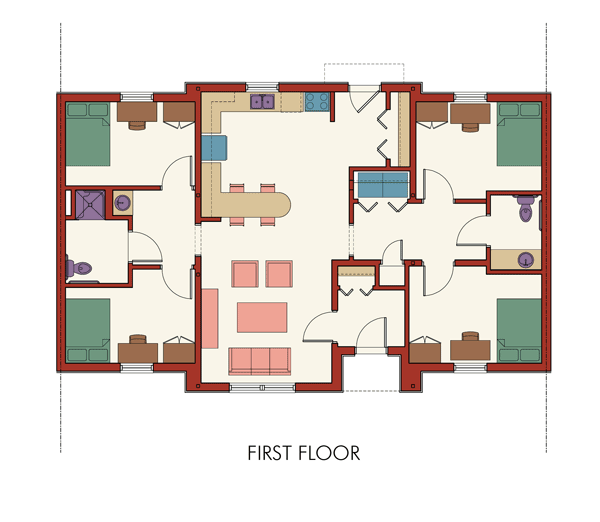 Sample handicap accessible floor plan below. Why live in The Village? 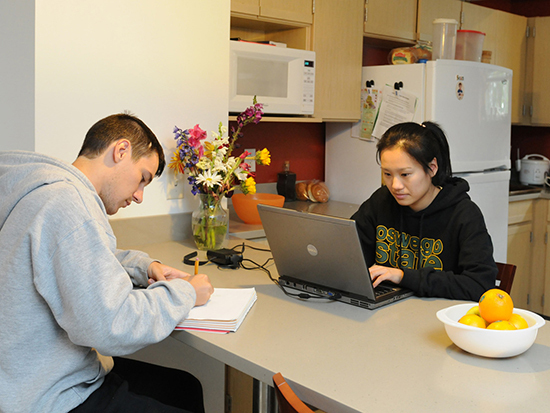 Students and parents or persons with disabilities needing assistance with the content of these ResLife pages should contact the Residence Life and Housing office at 315.312.2246 between the hours of 8 am and 4 pm. Thank you.